The Colonna True Ofuro Floor Mounted Faucet is a blend of stylish practicality and modern design and has been specifically crafted to meet the technical requirements of the True Ofuro tub, manufactured with a height of 120cm. Designed in Italy, the floor mounted tub filler rises gracefully in a column, from the floor before gently curving at its peak. 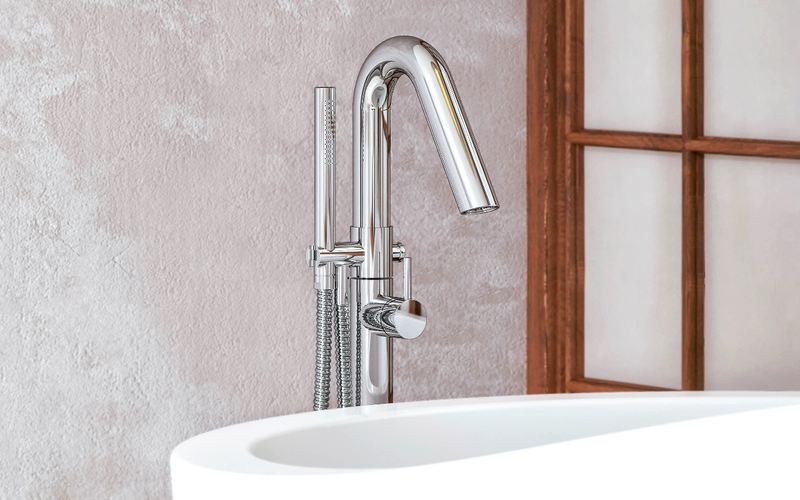 Constructed using quality solid brass, with a brushed nickel finish, this unique Colonna Faucet features an elegant handheld shower attachment that offers targeted cleaning.